ESTES PARK, Colo. – About 28,000 years ago, after the last ice age, Rocky Mountain National Park’s famous lakes were formed. There are now 21 lakes and among those lakes are the park’s most famous, including Bear Lake, Nymph Lake, Dream Lake, and Emerald Lake. 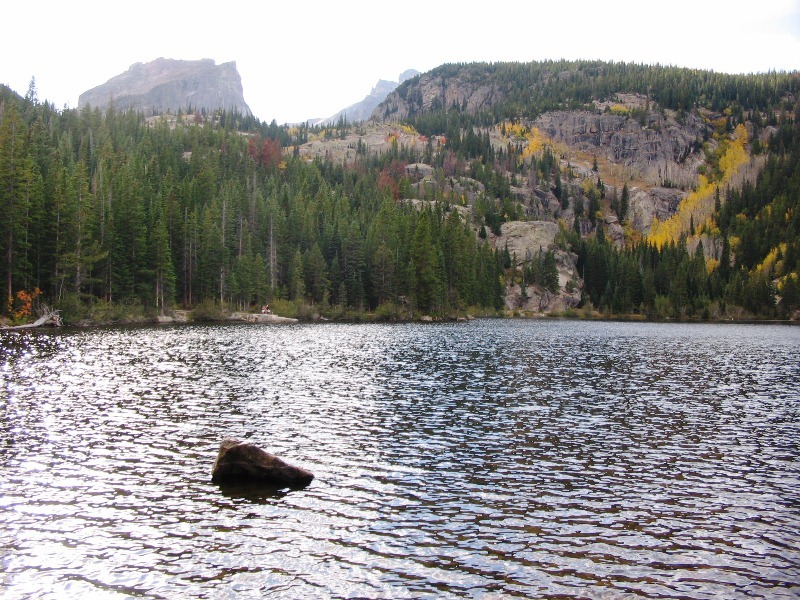 These lakes offer a trail system that is one of the most popular hiking trails in the park. Kyle Patterson, management specialist and public affairs officer at Rocky Mountain National Park, said that these lakes offer hiking trails for visitors of all ages to partake. The Bear Lake Loop, specifically, is less than one mile long and is located at the end of Bear Lake Road, nine miles from Highway 36. Bear Lake is 10 acres in size an and is at an elevation of 9,475 feet. 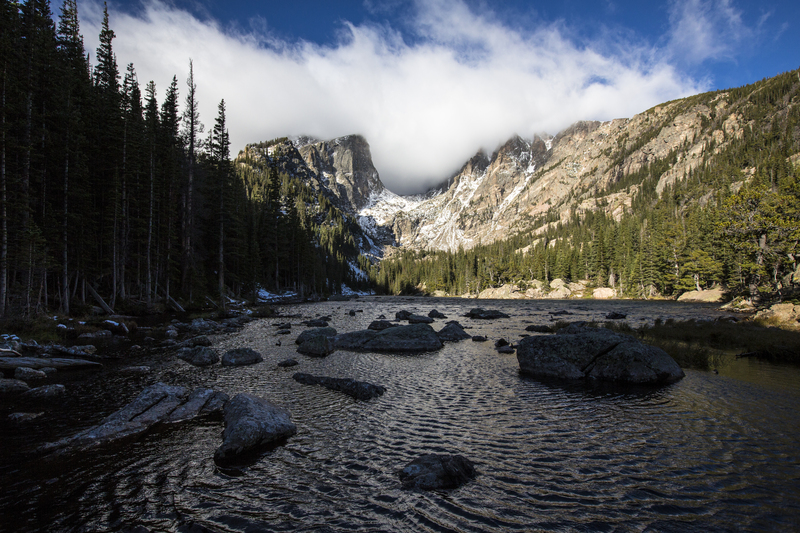 Jeremy Wilcox, a first-time Colorado visitor from Brooklyn, N.Y., vividly shares his experience in hiking the lake. Mid-September is the epitome of fall in Estes Park, so Rocky Mountain National Park visitors frequent the park most at this time of year. Geoff Whitby, a returning Colorado visitor from St. Helens, Merseyside, U.K., said that Bear Lake was among his favorites, especially during this time of year. During the hike at Bear Lake, visitors can distinctly see spruce, fir, lodgepole pine, aspen and lots and lots of visitors if one does not come early enough. Maria Edible, a resident of Denver, said that while it is an easy hike, there is one tip that she would suggest to future park visitors. Nymph Lake (Photo courtesy of John Wright). Nymph Lake branches left from the Bear Lake Loop and is less than four miles in length, about two acres in size, and is at an elevation of 9,700 feet. The lake is mostly a flat climb from Bear Lake and is filled with pond lilies. The area is an ideal location to watch a sunrise or for a family picnic. Dream and Emerald lakes were the most favorite among park visitors. Mark Burns, a frequent Colorado visitor and resident of Oshkosh, Wis., said that he enjoys hiking to Emerald and Dream lakes the most. Emerald Lake (Photo courtesy of the National Park Service). 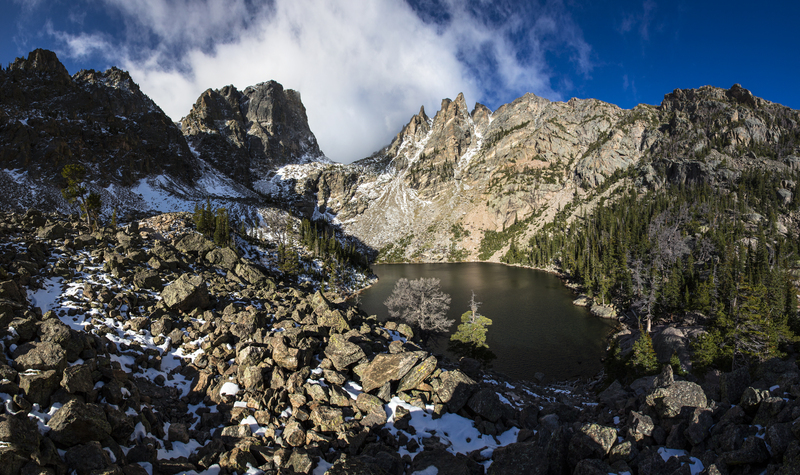 Wilcox added that Dream Lake was his favorite in the trail system. Dream Lake, which branches to the left from the Bear Lake Loop and past Nymph and Lake Haiyaha, another scenic lake at Rocky Mountain National Park, is less than three miles, three acres in size and is at an elevation of 9,900 feet. Emerald Lake, which is slightly further than Dream Lake, requires climbing a series of steps, is an overall 3.5-mile hike and is at an elevation of 10,110 feet. Once at the lake, the Hallet Park, Flattop Mountain, and the waterfall between both mountains are most noticeable. Jordan Link, a first-time Colorado visitor from Ellicott City, Md., said that Dream Lake left her in awe. 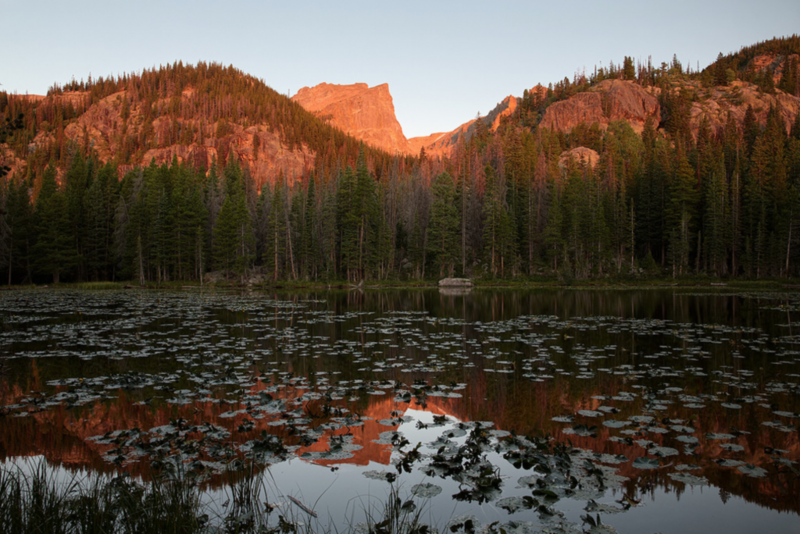 Dream Lake (Photo courtesy of the National Park Service). For fishing enthusiasts, only one of these four lakes is known to contain fish. Weather permitting, the park is open 24 hours a day, all year round. Take lots of water and light snacks, as hikes to Emerald and Dreams lakes can be lengthy. Make sure to use a park map to get around. Keep up with road status alerts for unexpected closures. It is best to hike to the lakes early or late in the day, as they tend to become crowded (especially Bear Lake) and parking lots fill up quickly. The park has more visitors the summer and fall, but no worries, there is a free shuttle bus service available during these seasons. There are seven visitor centers where visitors can engage in educational activities, such as joining a ranger for a program, watching park movies, viewing exhibits or to just simply ask questions. A list of the visitor centers, their addresses and hours of operation can be found at https://www.nps.gov/romo/planyourvisit/visitorcenters.htm.